The 2016 NAED AdVenture Conference brought together about 140 marketing professionals in the same room. John Lorince from Leff Electric was in the company's marketing department, but moved to an outside sales position. His presentation drew the most questions and comments of the entire AdVenture Conference. By far. There were the obvious jokes about sales people being from the "Evil Empire" or "The Dark Side." But Lorince really put a lot of what marketing does into perspective by saying, "Some of what I thought was important, wasn't," when talking about his time in the marketing department. He also asked the marketing crowd how often they go on sales calls, and the answer was an overwhelming "once in a while." Lorince believes it should be more than that. On the flip side, you have to wonder how many times a salesperson attended a marketing meeting or conference. Perhaps joining the two groups together a little more often would help bridge the communications gap. Lorince added that it is extremely important for the marketing team to treat him like the customer. "Sell the products to me, so I can sell them to someone else," he advises. He also said he appreciates it when a member of the marketing team makes quick visits to his office to work with him on sales or special pricing, because in the long run it will make his job easier. Lorince did a great job of providing a series of tips to the marketing people at the AdVenture Conference. So great that, before he finished, he was asked to mark his calendar to come back next year and address the group again. His speech is really a great start to a very old problem. On one side, you have a marketing department that is using research, product knowledge, and concepts that set buying your products apart from the competition as an advantage. On the other side, you have sales people using research (like past history in successful selling), product knowledge, and concepts for setting himself apart from any other salesperson from another company to use as an advantage. So why are the two departments so far apart? I tracked down some quotes from experts on B2B practices outside of electrical distribution, to find where they are seeing failures between marketing and sales. They are worth reading to see if you are experiencing the same situations. For example, Stephanie Tilton of Savvy B2B Marketing says, "Many corporate cultures don't support a meeting of the minds between sales and marketing. And without the support of upper management, any valiant attempts to close the gap will fizzle out. Whereas marketing often revolves around a campaign schedule, sales is sweating to meet quota." 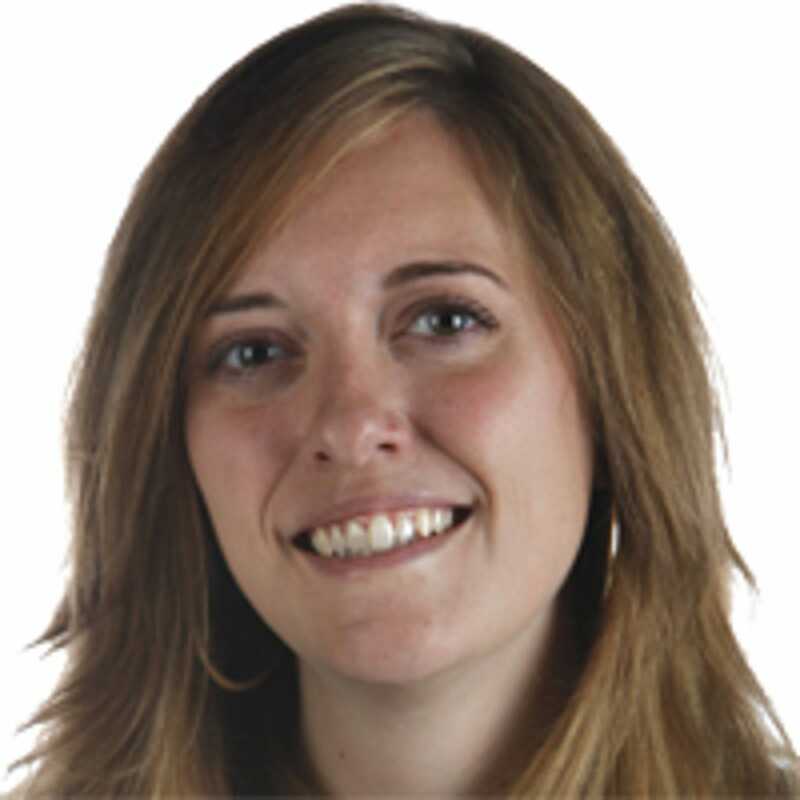 Jennifer Beever or New Incite believes the problem between sales and marketing is traditional, and that tradition needs to end. "Traditional departments operate in silos, with each performing their function but not interacting with others. On one hand, too many marketing departments believe they need to operate autonomously, with input from sales. On the other hand, too many salespeople take a ‘maverick' approach, and don't give marketing credit for generating leads," Beever says. This is an interesting topic, especially as we are seeing significant changes to our supply chain, including innovative new products being launched and the significant impact mergers and acquisitions have already had on our distributors and suppliers. We have assigned our writers to take an even deeper look into this, and tedmag.com will be building stories to help you bridge the gap between sales and marketing. We also hope John Lorince accepts the invitation to come back to AdVenture next year. We can all use more insight from people like him. Maybe he can get even more salespeople to come with him. Your new web design or web development project is finished... or is it? In a sense, maybe your web design or web redesign project is coming to a close. You've covered everything that is within scope, satisfied every need that was laid out in the project planning, web design quote, or purchase order. The end of project meeting answered all remaining questions, employees were trained on how to use and manage their new website, and it looks like you can call this a job well done and *finally! * launch your new corporate website. From here, ideally, your new site will impress visitors, generate new leads, make sales, and yield much better search results. You finally have a site that is well-optimized for search by today's standards, including being responsive/mobile-friendly. You even made sure to make it a secure (HTTPS/SSL) site. "Our last web design is only a few years old, why is this happening?" Like all business equipment, from large industrial machinery, to company cars, to copiers, websites need to be maintained to retain value. Most companies wouldn't let their vehicles go a year without changing the oil, but many companies allow their websites go to seed, creating a cycle of time and revenue lost for need of emergency patches, leading eventually into the need for a complete replacement. Regular maintenance can help keep your site up to date with today's SEO standards. It is much harder (and more costly) to recover lost search position than it is to maintain and improve the ranking of your web site. Losing revenue all the way up to that point makes this decision even less affordable. Regular maintenance can defend against hacks, malware, blackhat SEO and other factors that might harm your ranking. Regaining ranking after your web site loses search placement and is indexed with a "this site may be harmful to your computer", is often extremely difficult, and costly. Regaining placement lost to spammers and black hat SEO is also difficult. Regular Maintenance can keep your web presence in all available markets. As new devices are created and released, as monitor sizes increase or shrink, as screen resolutions become sharper, as internet speeds increase, as devices from servers to smart watches become faster - you should want your web site design to be accessible to as many people on as many devices as possible. Regularly look in on your website, from multiple devices, and try to always consider devices that you may be leaving out. Regular Maintenance can allow you to detect and fix broken links, broken contact forms, and other lost functionality before you lose business from it. Sometimes web hosts upgrade their software, or tighten up their security. This can cause a site to break. You do not know the web host made changes to the environment. Your web host does not know that your site or some part of your site broke as a result. Often, by the time a potential customer contacts a company about a broken website, or broken web page, weeks, even months have gone by. In this time, hundreds of other visitors have simply gone elsewhere. The question "How long has this been broken? ", can lead to revelations about business slowdown you do not want to have. Great sites come from evolution, not as pre-packaged solutions. Fully replacing an old site can be necessary if too much time has passed since the last time it was worked on, but the best very sites are sites that are regularly retuned and refined to keep up with current needs and standards. You invested a lot of money in your new build. Maintenance could mean no more major rebuilds, less cost over time, and much better results. Example of a website designed for widescreen, desktop, laptop, tablet, and cell phone. This mistake, in recent times of Wordpress and other types of CMS (Content Management Systems) being the standard, in more-recent times of search providers giving preference to regularly-updated sites, can be just as harmful as the former. As even the best equipment can become rusty when negelcted, so can your web presence. Regular content updates help your search presence and can help your site-wide keyword saturation. Google, and other search engines prefer sites that they know are being maintained. Fresh content shows Google that the site is an actively growing site, not an abandoned site that is only still living because of pre-paid hosting, or that someone forgot to pull the plug. Since people who are searching are most-often in search of up-to-date information - search engines try to search up the most up-todate content and web sites. Regular updates can extend the size of your site, and build its footprint on the web. Whether you are blogging, adding new pages, or extending the content of existing pages (perhaps breaking content up into more subpages), you are gaining more chances to be indexed and seen, building keywords for your site, expanding the size of your net. Stasis is death. While your site is not growing - your competitors sites may be. Worse: while you are failing to build new links to your site, you are most likely losing links as well. Backlinks are still the number one factor in determining search ranking. As sites, pages, and articles that were linking to you disappear, are edited, or are archived, you are losing inbound links. Companies that are regularly building links tend not to notice, but when you stop building, these losses are hard to ignore. Disuse IS Misuse. If you are not using your website as an effective marketing tool, it becomes only about as handy as a business card or a listing in the whitepages. If customers need to already know you exist in order to find your web site, you might as well be sticking to brochures and pamphlets. A good inbound marketing campaign identifies visitors, turns visitors into leads, and nurtures leads into happy customers. Without a good marketing plan, clicks and visits are merely numbers. Purchasing ads online and in print are great ways to bring visitors to your site. Mailers, magazine advertising, eNewsletter advertising, directory placements, technical articles, and advertorials are also great ways to drive traffic. If you are doing these things, but have no marketing strategy and no marketing automation in place for your website, you are simply wasting your advertising dollars and efforts. If your company does not have its own marketing staff, if you do not have your own staff of net technicians, web developers, or graphic designers, Lohre and Associates can help with your short term or long term marketing and web development needs. If you would like to save money on coordinating advertising efforts between multiple advertising and marketing services, Lohre and Associates would love to help. As Cincinnati's full-service industrial advertising and marketing agency, we do it all. Last week our office was on top of the Cincinnati Business Courier's Greenest Projects in the Tri-State for the third year in a row. I wish I were not leading this list. We LEED Certified our office Platinum for less than $12 per square foot. We did all of the work, LEED documentation and I was the LEED AP on the project. But very few businesses are doing it. It doesn’t take money; it takes time and common sense. Not designy, not cool, not expensive, not fashionable, not somebody else's opinion of what is beautiful. Learn more. You don’t build sustainably just to save money. The money part is out of sync with life and ecology. But that doesn't mean sustainability has to cost more. Money is only something we all agree has value. In the future, we will agree that nature has value as well. The ecologies of the planet are more productive rather than monocultures that benefit a few. Photo from the Wilderness Society. When I learned about the holistic LEED, Leadership in Energy and Environmental Design, process; I went all in, started a new brand, Green Cincinnati Education Advocacy, and created the Greenest project in the Tri-State. Big deal, only emersion DESIGN, Melink Corporation and Greensource Cincinnati are Green Building practitioners that have LEED Platinum offices. This article is in response to being the number one office on the Cincinnati Business Courier's Greenest Tri-State Projects list three years in a row. I want to reach out to others that want a more environmental reason to build a project. It doesn't cost more, it performs better, and it tells a more realistic story about our environment and the future of mankind. Our office was included in an article titled, "10 of the World's Greenest Offices." Like all civilizations, all of the questions of the past are still present. The only thing slowly growing and becoming more accurate over time is science, it will provide the answers. In the '70s, we looked to ecology for the answers. At the time, ecology was a young science and didn't have the answers. Now the study of ecology has a path to the answers. We need to continue to learn and take action. I'm using all of my marketing knowledge to offer the public a chance to learn more. Join us at the South West Ohio Chapter of the USGBC's tours of local Green Homes this year. It's a small group of only a few hundred that are interested. Even fewer commercial project owners are interested or even know what's possible. The first words out of their architect, engineer and builder's mouth is, "Green is more expensive." That's expensive in their mind; it doesn't have to be in yours. Please get in touch if you have any questions about building sustainably or subscribe to our Green tour announcement newsletter. Hopefully next year we won't be the Greenest in Cincinnati. The Energy Lab at Hawaii Preparatory Academy is a great example of the future (photo) and my new favorite building. Chuck Lohre LEED AP ID+C is president of Lohre & Associates Marketing Communications, which specializes, in industrial marketing. In 2007, he started Green Cincinnati Education Advocacy a Green Building consulting firm specializing environmental education, LEED Documentation and Green marketing. Chuck’s on the boards of Greater Cincinnati Earth (Day) Coalition and ReSource. Cincinnati Ohio has one of the most concentrated LEED building collections in the world. A quick one hour tour will show you who's a part of this movement. The tour starts at the Fire Station No. 9 in Avondale. After your breakfast at Sugar N Spice, step out side and notice the gleaming white concrete blocks that keep the building cool in the summer. The solar shades on the south side also help along with the concrete parking areas. The grounds have native and adaptive landscaping. The polished concrete floors are stained blue in the living quarters. We have used the community room for classes to pass the LEED AP exam. The only problem is that you have to evacuate if the house gets a call requiring all the trucks to leave! Green Cincinnati Education Advocacy hosted an educational event for the opening of the station. Mayor Mark Mallory came and addressed the attendees. As we travel south on Reading Road to the North Avondale Cincinnati Public School we'll discuss how Ginny Frazier, a teacher at CPS who couldn't catch a breath in the new schools CPS was building, partnered with Joel Stout, president of the local chapter of the U.S. Green Building Council, to convince CPS to build to LEED standards and along the way got legislation passed in Ohio to require all educational funds reach LEED standards. North Avondale has an active after school green mentoring program run by Ginny Frazier and her Alliance for Interconnection and Connectivity non-profit enviromental advocacy organization. Ohio Leads the Nation with 100 LEED-Certified Public Schools and Hundreds More in the Pipeline,"Ohio is the recognized nationwide leader in sustainable school design, with more than 300 total schools either registered or certified through LEED. On average, Ohio’s first 100 certified schools have been designed to use 35 percent less energy and an average of 37 percent less water than comparable buildings constructed and operated to traditional standards. In addition, these schools provide healthier indoor environments conducive to learning." But city buildings and schools aren't the only revolution going on in Cincinnati, in 2007 the city wanted to encourage sustainable homes and chose the USGBC LEED requirements to take all the paper work out of the program. It took off like gangbusters, developers turned around in their tracks to the suburbs and returned to build exclusively within Cincinnati. The owners of these homes bring valuable income tax, improve the building base and provide jobs in the city. The next stop will be the Northwind Subdivision of Potter Hill Homes in Northside. It's a cute collection of smaller LEED Silver homes. Of all the many homes in the neighborhood only one owner didn't want the LEED Certification. Potter Hill Homes also offers a solar panel and geothermal package to help the home approach net-zero energy. Next stop on the wild side. The Cincinnati Zoo also started the movement with zoos in the nation with the Harold C Schott Education Center. This building is a good representation of what a fully featured green building. From the orientation of the building with the solar panels facing the sun and one of the state largest rain gardens in front. The interior of the building tells a visual story of a building you can almost eat: the linoleum floor, wheat straw board, shellac finish, cement paneling and top it off with one of the first waterless urinals in the city. As we drive by the 1600 watt solar panel array which anchors the LEED Platinum entrance village, it produces 20% of the zoo electricity. When the public parks their car under the array and sees solar energy in action, they know renewable energy is here to stay. The zoo represents one of the city's best marketing tools, it attracts visitors from all walks of life. New converts can see how the zoo's projects contribute to sustainability and their excellent signage takes it home for them. You'll note in the photo that the Entry Village restrooms have solar hot water generators on the roof. Cincinnati has another pioneer in sustainable building practices, the University of Cincinnati. Through the vision of the University's architect, Mary Beth McGrew, the university recognizes the quality of construction of the LEED process and that it represents the best value for their supporters and doners. UC built one of the first LEED projects in the region in 2002, the Recreation Center and quickly followed up with a unique building that took lemons and made lemonade. The Steger Student Center is an worldwide award winning project that uses the long narrow site which faced the sun and used it to bring light and beautiful views to the occupants. UC has renovated the Van Worner and the Teacher's college as well, demonstrating that you can reuse existing shells and preserve the history and quality of the university while being sustainable. As we get closer to downtown, we'll cruise by our LEED Platinum office or condo at 126A West 14th St. just to the north of Washington Park, which was built to LEED standards but never certified. One reason I could tell is that they ran the ventilation fans like mad for a several days before opening to meet the indoor air quality standrads. You have to pump 24 cubic feet of air for each square foot of floor space before occupancy! Our office is the Greenest Office in Cincinnati as awarded by the Cincinnati Business Courier. They started ranking the Green Buildings in Cincinnati in 2014. It's one list we wish we weren't on top of! The office has also been included in a blog post of the top ten Greenest Projects in the world. We're very proud of our sustainable space. Next is the Times Star Building. Built in 1933 by the Taft Family it was designed as a newspaper production facility. The long low section housed the printing presses and the 14 story tower was home to the Tafts apartment on top and the executive offices below. It's a great building to tour and much appreciated in Cincinnati. Congratulations to Hamilton County for making the effort to make this star shine. It took quite a bit of work to improve the heating systems, lighting systems, water systems, windows, reduce off gassing of interior furniture and improve interior air quality. Recycling and sustainable consumable programs were also put in place. We'll wind up our tour at the LEED Certified Moerlein Lager House. Cincinnati's first LEED resturant and the Cincinnati Park Board's first LEED project. Really there another attempt for the first LEED restaurant in Cincinnati but an error in their application prevented it from becoming certified. To obtain the tax abatement for a commercial project you have to get approval from the city before starting construction. The confusion came about because for homes in Cincinnati to get the tax abatement you have to get your LEED Certification first and then apply for the tax abatement. The same thing happened to another project but at least we were able to get it LEED Platinum Certified. If and when it ever is used for residential, it will be able to receive the Cincinnati tax abatement. I hope you have enjoyed this tour of Cincinnati's LEED projects. Our most recent effort to promote the local Chapter of the U.S. Green Building Council has been a series of Green Home tours. You can learn more at the Green Living Member Circle website page. I hope to see you on one of the tours. Subscribe to our newsletter if you would like to get the tour announcements. And as always, I'm available to walk you through the things you can do sustainably for your home or office. Just stop by our office and we can catch some lunch in OTR. Ohio is the recognized nationwide leader in sustainable school design, with more than 300 total schools either registered or certified through LEED. On average, Ohio’s first 100 certified schools have been designed to use 35 percent less energy and an average of 37 percent less water than comparable buildings constructed and operated to traditional standards. In addition, these schools provide healthier indoor environments conducive to learning. By Tom Demeropolis Senior Staff ReporterCincinnati Business Courier, original article published Oct 23, 2015. The developer of Cincinnati’s first tiny houses is getting ready to start construction on the homes in Over-the-Rhine. Brad Cooper, who launched Start Small Homes after he received a $100,000 grant from People’s Liberty, expects construction to begin soon on the two small homes. Cooper's project explores tiny homes as a solution to affordable housing, working to create a market-rate solution for diversely affordable home ownership opportunities. “We’ve had a good deal of interest,” Cooper said. Each home will be a total of 440 square feet, with 290 square feet of livable space. Each building’s footprint is 16 feet by 13 feet, roughly the size of a large second bedroom. Sansalone and Associates is the general contractor for the homes. One of the homes will be sold at market rate, with a list price of $200,000. Going by the usable square footage, that’s about $690 per square foot. But Cooper said it’s not fair to compare the tiny house’s price on the traditional per-square-foot measurement since it requires all of the infrastructure of a full-sized house. The other home will be sold to a low-income household rate. Cooper said he is still working out the details on pricing for that home. Cooper, who is a trained architect, originally wanted to price the homes at $70,000 each. The homes also were originally designed to be smaller with a total of 200 square feet of living space. But he still says at $200,000, a buyer would be getting the tiny home at a good value. During events held throughout the summer, about 75 people have showed up to learn more about the tiny houses. Each two-story tiny home has a kitchen and living space on the first floor complete with a refrigerator, butcher block counter and cabinets, and the second floor has a bathroom and the bedroom. People’s Liberty, a philanthropic lab that invests directly in individuals, has helped Cooper through the process. Jake Hodesh, vice president of operations at People’s Liberty, said they have been working to understand all the processes that go along with building a tiny house. The homes, located at 142 and 144 Peete St., will have solar panels and are designed to take advantage of passive cooling. Cooper expects utilities to cost about $50 per month. Cooper doesn’t have additional sites for more tiny homes at this point, but he has learned ways to bring the prices down. By building more tiny houses at one time, as well as getting smaller lots or building multiple tiny homes on the same lot, he believes he would be able to bring prices down. Demeropolis covers commercial real estate and development. November 1, 2015, 1 pm till 3 pm, Over-The-Rhine Condo transformed into LEED Platinum. Meet Architect Martha Schickel Dorff and resident Chuck Lohre who did the LEED renovations and documentation. Features include a renewable energy pellet stove, 91% Energy Star plug loads, 31% water savings and 100% sustainable sites credits. Contact Chuck Lohre to register chuck@lohre.com, 513-260-9025. Learn more. For 2015 the Southwest Chapter of the U.S. Green Building Council, Green Living Member Circle is producing nine Green Home Tours. Contact Chair Chuck Lohre to join, receive newsletter or register for any of the tours, Chuck@Lohre.com, 513-260-9025. Chapter members get preference for the tours and can bring a friend. Attendance is limited to 20, the address will be provided after you register. There is no charge for the tours just your help in promoting them is asked. Learn more. The 2015 tours are sponsored by The Sustainable Partnership of Cincinnati, a group of businesses offering sustainable products and services to create sustainable homes and offices. Learn more. Start Small Matters - Tiny Homes For Sale These gems will be located at 144 & 142 Peete St. Both will be energy efficient and high-quality. One home is open to anyone, the other is income restricted. Through successful tiny home development, project lead, Brad Cooper, hopes to provide an example of urban housing that creates more accessible home-ownership opportunities. Learn more. Mecklenburg Gardens 302 E University Ave, Cincinnati, OH 45219. Goals: Advocate to other jurisdictions to provide incentives for green buildings similar to City of Cincinnati’s tax incentive. Involve green home experts in forming a shared vision for the future. Learn more. Movie & Discussion, Tangeman University Center MainStreet Cinema, University of Cincinnati Continuing Education: 1.0 hours AIA, GBCI, ASLA, and LFA Biophilic Design is a documentary film that explores an innovative way of designing the places where we live, work, and learn. Learn more. September, 2015 – The Multiple Listing Service (MLS) of Greater Cincinnati recently rolled out a set of enhanced features aimed at helping homeowners increase the value of their home through investments in energy efficiency and other green features. Related to a national Greening the MLS effort, homeowners and their real estate agents are now able incorporate a number of new energy features into the MLS systems via an innovative Energy Efficient/Green Features form. With this form, a homeowner can identify a comprehensive set of energy saving enhancements, including specific building rating information such as LEED, Home Energy Score, HERS rating, and ENERGY STAR. The form is then uploaded into the MLS system and searchable by realtors to share with prospective buyers. A collaborative effort of organizations that include the U.S. Green Building Council’s Cincinnati Chapter, the Greater Cincinnati Energy Alliance, Green Umbrella, and Efficiency First Cincinnati, have been working with the Cincinnati MLS over the past two years to build a community dialogue around the value of energy efficient homes in the Cincinnati market. Studies from across the country have revealed that homes with energy efficiency or other green features not only save money, but have a higher average value, in some cases nearly 10% more that their non‐energy efficient counterparts. To test its assumptions and explore options to grow the industry, the coalition convened a series of stakeholder discussions that included a diverse array of local real estate agents, appraisers, home builders, planning officials, and mortgage bankers. The purpose of this dialogue was to discuss the opportunities and challenges associated with increasing transparency of green and energy efficient homes. Out of these conversations a consensus began to emerge around the value of green homes and the group developed a series of recommendations to the Cincinnati MLS to help incorporate more green building information into the local database. Why Add Green Features? Home energy costs typically exceed the costs of both insurance and property taxes, yet there is no easy way to report on and compare the energy use of homes. Home sellers experience similar frustrations. Those homeowners that have made investments in home energy improvements (such as insulation, high‐efficiency heating and cooling, and other energy saving measures), are often unable to recoup their investments due to the inability to effectively communicate these benefits. Incorporating this information into the MLS system is thus crucial in creating value. Gaining Value with Green Studies conducted in markets throughout the country have shown that homes with green features have increased value, transact more quickly, and experience lower rates of foreclosure, compared to similar homes without these features. A 2012 study conducted by a pair of UCLA economists found that green labeled homes were selling for a 9% premium compared to non‐labeled homes. A 2013 study from the University of North Carolina Center for Community Capital and the Institute for Market Transformation found a 32% lower risk of default for energy‐efficient homes. Yesterday we visited the Frye store in NYC's SoHo neighborhood. You might recognize Frye's heritage as a shoe and bootmaker, but today it's a lifestyle fashion brand. The Spring Street store serves as one of its flagship locations and this particular one earned LEED Platinum. The store manager didn't know much about the LEED certification (and the store doesn't point out its LEED status through graphics), so we enjoyed filling him in on what we saw and suspected. Both Lohre & Assoc. and Frye obtained LEED Platinum under v2009 so it's a direct comparison. Using credit sheets for each, we were able to quickly scan and compare the projects. Here's what we found: Frye didn't have much control over the store's exterior (one of the neighborhood's iconic iron facades) or landscaping and heat island effect, so it didn't score any points for site selection -- Lohre received 5 of 5. We both got all possible points for dense urban setting and alternative transportation. How Frye managed 11 out of 11 for water reduction I'm not sure because I didn't go into the restrooms. Lohre received 6 points for 30% water use reduction from a 1992 baseline. Frye must have installed a waterless urinal in addition to low-flush toilets. We both got points for a low-flow shower to encourage bicycle use. We both received maximum points for reducing lighting power density. Lohre's is .35 watts per square foot. In looking at Frye's light sources, they seemed too hot to be LED and many of them were incandescent. It's possible Frye may have claimed one type of light source, but another source actually made its way into the store. I didn't see any lamps I could specifically say were LED. The under shelf fluorescent appeared to be low-power T5s. To achieve the 5 out of 5 for Lohre, we used only LED and fluorescent. Frye got one point for lighting control versus Lohre's three. We have occupancy switches in every room, not the type of control you need in a store where lights need to be on during operating hours. Frye earned 5 out of 10 points for high-efficiency HVAC. Lohre couldn't score any in this category because it was beyond the scope of the project. The HVAC was already installed in the space when we moved in and we didn't change it. Ours was a SEER 10 AC, we'd assume that Frye would be a SEER 16 (and higher) demonstrating quite an improvement over ASHRAE 2007 code standards. We both got the maximum points for using Energy Star electrical equipment for over 90% of plug loads. Also, we both recevied points for enhanced commissioning and paying for our own gas and electricity. Commissioning has demonstrated that it saves 15% in energy use. Lastly, both projects were granted 5 points for purchasing renewable electricity. Regarding materials and resources, both projects signed 10-year leases which encourages less resources for moving and renovating. Lohre's project was able to retain all of the interior divisions in the space but Frye did not. Both projects received 2 points for limiting construction waste management. Lohre had zero waste -- recycling minimal amounts of carpet and aluminum blind scraps. Both projects received 2 points for material reuse. Lohre reused aluminum blinds (trimming them to fit). Frye may have received points for reusing architectural window frames (above) as room partitions. Frye wasn't able to reuse any furniture (though they incorporated antiques into the store's fixturing systems), but Lohre reused all furniture from its previous location. Frye managed to use twice as much recycled content percentage in its project as Lohre. Both received 2 points for sourcing materials from within 500 miles of the project. Neither project was able to incorporate rapidly renewable materials, like cork, into the projects. Lohre was granted 1 point for using wood harvested from non-clearcut forests. In indoor environmental quality Lohre got the point for providing a CO2 sensor. Neither project increased fresh air by 30% but both got credit for protecting air quality during construction. Frye flushed the store out with fresh air before occupancy to receive 1 point. Both projects used adhesives, paints, flooring and composite wood that didn't contain excess Volatile Organic Compounds. Only Lohre provided walk-off mats and improved air filters. Then again, only Frye used low-VOC ceiling and wall systems. Both projects provided well-designed thermal comfort systems and verified with employee surveys. Lastly, Lohre was able to provide quality views to the outside, not likely for Frye's shotgun configuration. In conclusion, both projects can be very proud of their achievements. Frye is considered the first LEED Platinum store in New York and Lohre & Assoc. the first LEED Platinum Marketing Communications firm in the world. The Frye store was first class and a premier quality product presentation. Just wish I'd gone ahead and purchased those $218 dress shoes! I read "Cradle to Cradle: Remaking the Way We Make Things" by Michael Braungart and William McDonough on the flight back to Cincinnati and wonder about Frye's sustainable shoe manufacturing process. Lohre & Assoc. on the other hand could consider what it means to provide more sustainable marketing communications. At the end of the book, it provides insight for continuing education; practice what you preach and making it fun. If you consider shoes that don't degrade materials you wouldn't want to breathe, also consider marketing that doesn't encourage unnecessary consumption. If you enjoyed this blog post you might want to learn more about our LEED documenation services. Thanks to Carrie for her June 3, 2015 article on Cincinnati.com. 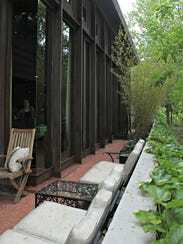 Twelve years ago, Chuck Lohre was determined to make the Boulter House, a home built by Frank Lloyd Wright, his own. 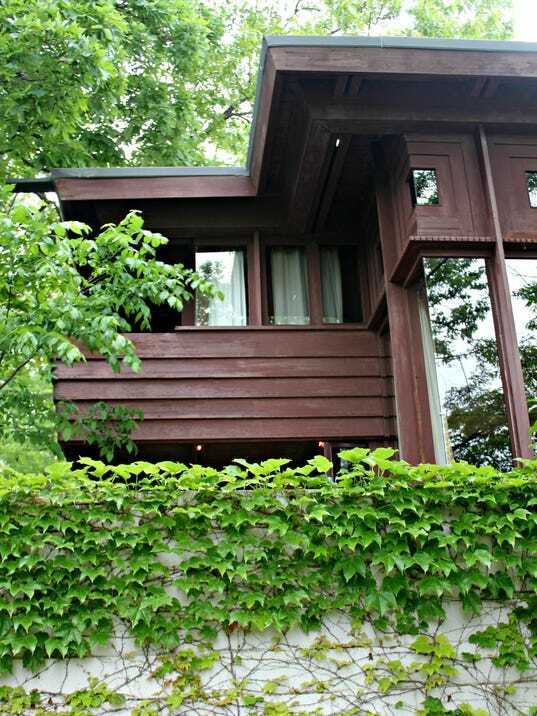 Lohre had discovered the Usonian style house in Clifton was going to be auctioned off a mere three days before the sale. Being a long time admirer of Wright, Lohre felt compelled to try to buy it. So he and his wife Janet Groeber crunched and calculated their net worth, including the equity in their little home in Pleasant Ridge, and decided on a number. Come auction day, Lohre's realtor didn't show up and Lohre found himself tongue-tied. He made a bid, but his head spun as the action between the other bidders unfolded quickly and, before he realized it, the property had sold for less than he and his wife had agreed on. 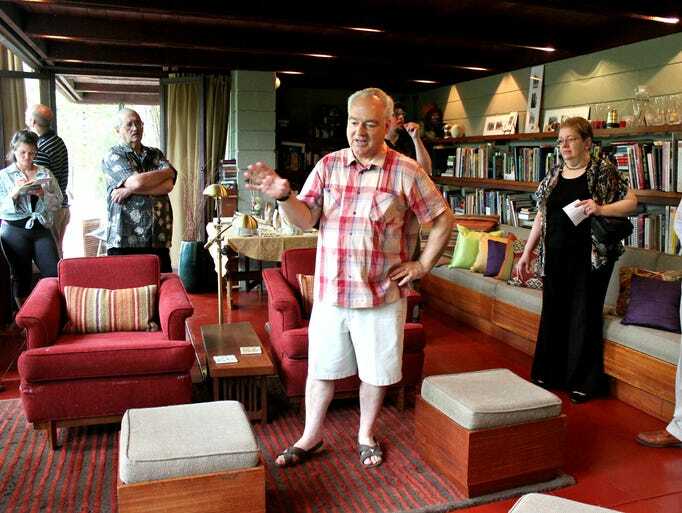 "I was devastated," the silver-haired Lohre told a group of visitors on a recent tour of the home, standing in its great room constructed of concrete block, plate glass and mahogany. Somehow, Lohre knew it wasn't over. He called the winner, a young man who had been there bidding for someone else. "He bid the number he was told," Lohre told his guests, "but he didn't know you add 10 percent." The young man's buyer wouldn't pay that much. Lohre offered him the sale price plus an additional 3 percent. The young man agreed. "The next week, we were owners of the house," Lohre explained while showing the home as part of the marketing professional's series of green home tours, which he started in November. Lohre hosts the tour to show people what is possible with green construction. Lohre is sort of obsessed with sustainable design. His office in Over-the-Rhine even has a sawdust pellet stove. So far, homeowners in Northside, OTR, Mount Airy and Mount Carmel have opened their doors to strangers to explain how solar and geo-thermal heating and cooling systems and other green methods work, how they save money and help the environment. In one of the homes, a system collected rainwater to flush the toilets. The tours are an outreach of the Cincinnati regional chapter of the U.S. Green Building Council and sponsored by the Sustainable Partnership of Cincinnati, a group of businesses that offer sustainable products and services for homes and offices. Still coming this year are tours of a tiny home in Over-the-Rhine and a farmhouse in Verona, Kentucky. The free tours are held roughly once a month and limited to 20 people. Lohre has recently added a potluck tour in late July at a home in Columbia Tusculum and many more tours into 2016. To see a full list, visit the Cincinnati chapter's website. Lohre is doing his part to one day see the Boulter House certified by Leadership in Energy & Environmental Design (LEED) standards. That's no small feat. "We pumped insulating foam into the concrete block walls and that decreased the energy bills by 15 percent," Lohre said. "We'll need to add high-efficiency interior storm windows. We're saving up for that now. Later on, we have geo-thermal and solar panels on the list. And maybe even a wood pellet boiler." It's a lot to do, but living in and preserving a piece of art, is worth it, Lohre said. FEINTOOL (Cincinnati, OH) introduces the XFT 1500speed Feinblanking Press. Never before has a fineblanking press been so fast, so versatile and above all so productive at up to 200 strokes per minute. "Our main goal was to take the advantages of fineblanking to a level of production that outstrips conventional blanking in terms of part quality, clean cut percentage and dimensional repeatability in sheet thicknesses of over two millimeters," states Markus Schaltegger, Feintool’s head of Presses and Systems. (Caption: Feintool 833A8287) This part would normally need to be stamped and then drilled. With the XFT 1500speed it was produced in one step at high stroke rates. Aerospace, medical and turbine engine parts are made on these machines because of high volume and extremely high tolerances. The 1,500 kilonewtons XFT 1500speed replaces Feintool’s GKP 100/160 and MFA 1600. It is compatible with existing tools and can double their output, but achieves its true potential when using high-speed tools developed specially for it. Manufacturing costs and investment costs per part are lower with less energy consumption and press maintenance. It’s even capable of turning out small batch sizes economically. (Caption: Feintool Rocker - 6 out) Define movements such as acceleration, part removal and intermediate stops to an accuracy of two milliseconds. (Caption: XFT1500speed_Internet_01) Feintool wins Euroblech Award 2014 - On the first day of the Euroblech 2014 trade fair in Hanover, winners were presented with the Euroblech Award 2014 for their innovative achievements. In the 'blanking' category, Feintool won the award for the most innovative product with its new XFT 1500speed fineblanking press. Fineblanking and forming are only superficially similar to conventional blanking or shearing processes. The difference is found in the precision of the process and the combination of fineblanking and forming, which opens up entirely new technical avenues in industrial series production and opportunities to maximize cost efficiency. Highly complex ready-to-install multifunctional parts can be produced economically with Feintool technology – and with crucial cost savings compared with conventional production methods. Feintool is the world's leading technology group specializing in the development of fineblanking systems and the production of precision, ready-to-install fineblanked and formed components, notably for the automotive industry. With locations in Europe, Japan, China and the USA, the Feintool Group is represented in the world's major automotive markets. Headquartered in Lyss, Switzerland, the Group has a headcount of just under 2000. There is also an excellent animation on this page that shows the fineblanking process. It’s the dual movement of both the inside and the outside of the die combined with high clamping forces that defines fineblanking.